AIB , Dyer street Drogheda are supporting the Drogheda Bonanza this year. To show their support they are offering local business people the opportunity to show their wares. I was delighted to be invited to display my work. A big thanks to AIB for the invitation and to Bryan ( pictured )who helped me set my work in the bank yesterday evening. ( 25th November 2015 ).. 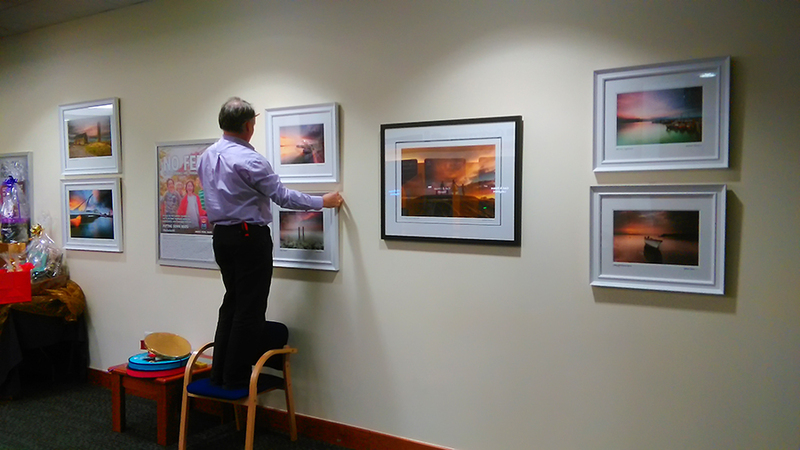 This entry was tagged AIB Bank, Drogheda Bonanza, Photographs, Seascapes, showcasing. Bookmark the permalink.